Save the date cards are not the actual wedding invitation, but a great way to ensure most of your guests are able to make it to your big day. They are a fun way to let your friends and family know in advance that you are planning a wedding, making sure they keep the date free and giving them plenty of time to book hotels. 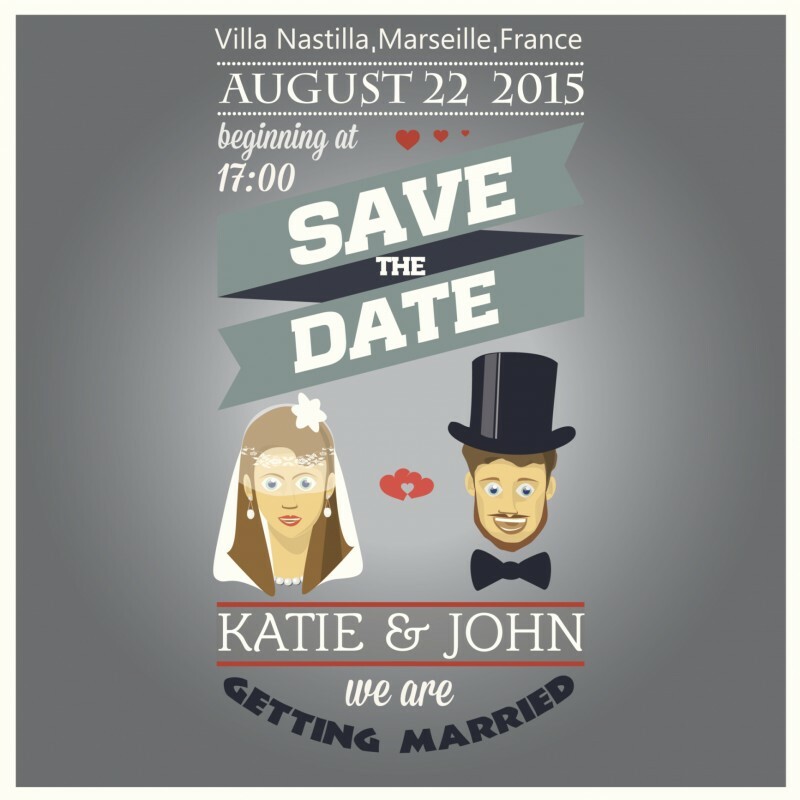 Find out more about save the date cards. Save the date cards aren’t required to be actual cards and the best ones are usually more imaginative. If you haven’t picked your wedding colour scheme or theme as you are sending your Save the Date cards, you don’t need to match them to your other stationery. A Save the Date can be less ceremonial than a wedding invitation, making it good opportunity to have some fun and send cards your guests will really appreciate. Yet, if you have picked your wedding theme already, you can utilise your Save the Date as a taster of what the big day will be like. If you are planning a garden wedding, your wedding details could be written on top of a packet of seeds. If you are organising a vintage themed wedding, send old fashioned postcards from that era together with the wedding date. A number of couples choose to send a cheerful picture of themselves, perhaps with a sign that has the wedding date written on it. Some get colourful fridge magnets, or print the wedding details on wrappers for biscuits or candy bars. You can have a magazine front cover style design printed on cards with the announcement of your wedding as the headline story. The only two required details you need to have on your Save the Date card are the date and approximate location of the wedding. You can include the specific location of the venue if you have booked it, or you can simply include the city name if you prefer. The only occasion when you might wish to include more information on your Save the Date cards is if you are planning a destination wedding, and you wish to provide your guests with details of flights and hotels. The majority of couples add something like ‘formal invitation to follow’ on their Save the Dates, so that guests won’t start calling them up asking for details, assuming they already have their invitation. The two details you definitely won’t want to add to your Save the Dates are an RSVP, and information on your gift registry. Save the Date cards are typically sent out six to eight months prior to your special day, but the sooner you deliver them the more effective they are, so a number of couples send them a year in advance. 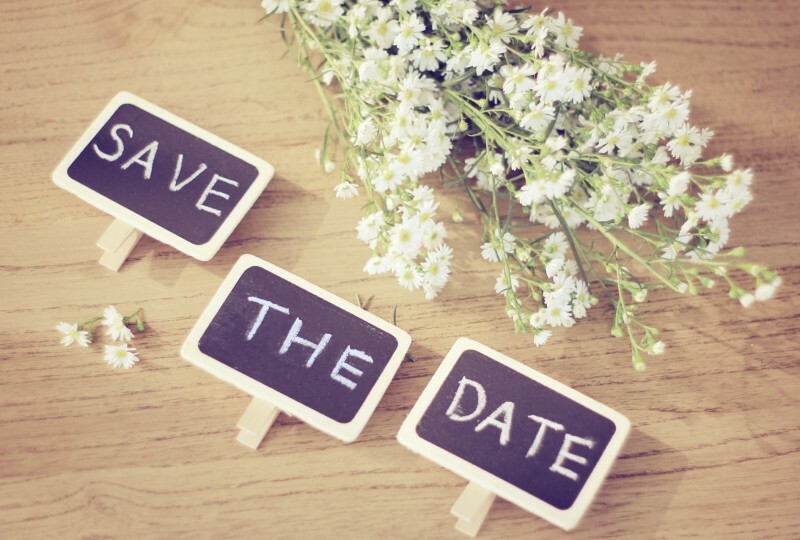 Don’t be alarmed if you haven’t officially confirmed all your wedding details when you send out your Save the Dates; the information on the notes should be kept as simple as possible. All you need to have decided is the date!